Update: Registration for Innovation Uncensored in San Francisco closes tonight. Get in while you can! We are excited to announce the latest addition to our notable list of speakers: Reid Hoffman, partner, Greylock Partners. 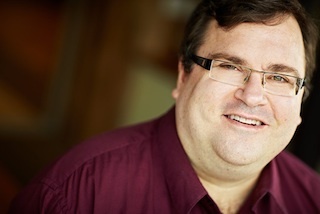 Reid Hoffman is more than a venture capitalist. The cofounder of LinkedIn has a passion for entrepreneurship and a deep knowledge of startup culture. He’s supported breakthrough businesses from PayPal to Facebook, Groupon to Zynga. Fast Company‘s editor, Robert Safian, will interview Reid about his unique perspective on the current state–and future prospects–of the innovation economy. Here’s a quick glance at all of our speakers. John Donahoe, President & CEO, eBay, Inc.
One goal: To inspire you to change the way you think about business. Still unsure about coming to Innovation Uncensored in San Francisco? Check out the updated agenda, but don’t delay, tickets are going fast! We look forward to seeing you on November 2nd!